The University of Liverpool has worked with user experience agency Sigma as it looks to improve how audiences can engage with its world-leading research. The Russell Group university wanted to get a better understanding of who was already engaging with its research and impact activities to help understand how to make future work easier to access. To help with the project, the university brought in the Macclesfield-based agency Sigma to gain further insight into its current research audience and their reasons for interest in the university’s work. Sigma’s experts gathered detailed insights from a wide range of stakeholders and users of the university’s digital channels. They developed a customer journey map that visually presents the various routes users take to access research data across all touchpoints, identified the barriers they may face, and recommended actions for optimising the journeys and maximising engagement at each stage. 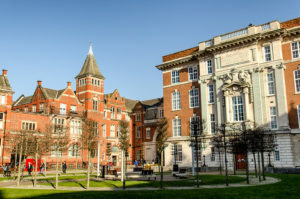 Hilary Stephenson, managing director at Sigma, said: “The overall aim of this project was to allow the University of Liverpool to better understand the audience they were targeting for their research, including their needs and motivations for taking part in the research. “This new framework will allow the university to better engage with those who they are trying to target as part of their wider research activity. These insights will provide a better understanding of their audiences demographics, needs and motivations, which will in turn help shape their future marketing and content strategy efforts.